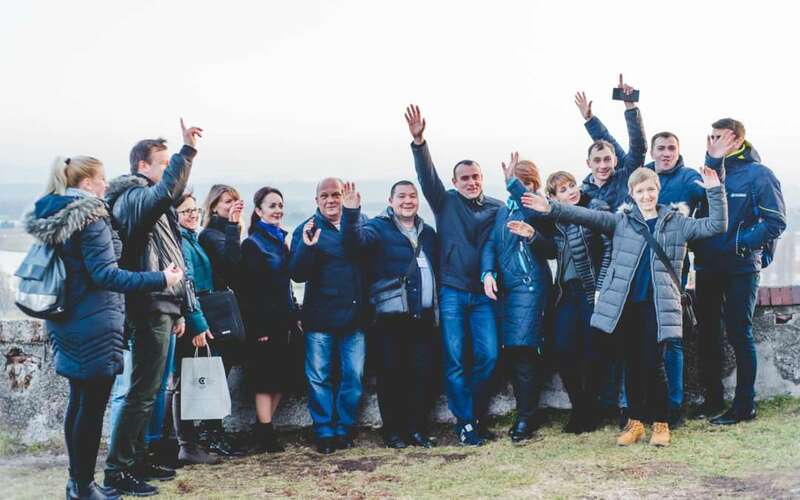 Last week the third study visit “Travel to Know – Travel to Change” in the framework of „U-LEAD with Europe – Ukraine – Local Empowerment, Accountability and Development” programme concluded with a closing ceremony in Ptuj. 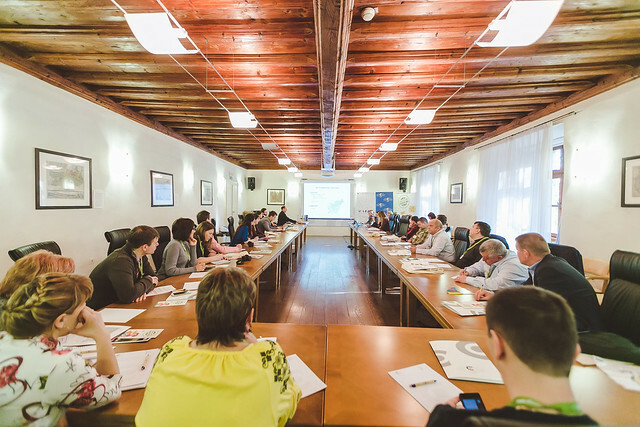 The visit took place between 3rd and 8th of February 2019 with 18 public officials from Ukraine visiting Ljubljana, Vrhnika, Celje and Ptuj, under the patronage of U-LEAD with Europe Programme. The project on the topic of waste management – “Upgrading Municipal Waste Management Services” – helps key actors of 36 selected amalgamated hromadas (AH) in three Ukrainian regions (Dnipropetrovsk, Volyn and Zhytomyr) to implement green approaches in the waste management sector and to obtain knowledge about the best practices of transparent and accountable waste management services, which is responsive to the needs of population. The third international study visit has had, alongside theoretical approach, a strong emphasis on practical cases of the Slovenian communities’ experience in municipal waste management planning, municipal waste collection, treatment and disposal options, so the participants visited Snaga Ljubljana, Kemis Vrhnika, CERO Celje, Toplarna Celje, Javne službe Ptuj and Saubermacher Kidričevo. Visiting a modern incineration and a waste treatment plants gave the participants an opportunity to get acquainted with new technologies that could be taken into consideration for further contribution of AHs to the regional waste management planning. The multi-donor action U-LEAD of the European Union and its Member States Denmark, Estonia, Germany, Poland and Sweden was established in order to carry out demand-driven and targeted training for officials at the national, regional and local level. See the photo gallery of the project below.